This ticket allows general access to Carnival Magnifico 2019 on Friday, 7th June, 19:00- 1:00 AM Entrance to A Weird & Wonderful Day Out the following day must be purchased separately. This ticket allows general access to A Weird & Wonderful Day Out 2019 on Saturday, 8th June, 13:00- 23:00. Entrance to Carnival Magnifico on Fri 7th June must be purchased separately. The Ibis Birmingham Bordesley Circus hotel is located in the heart of Birmingham, just 0.4 miles from the Birmingham City Football Club, 1.9 miles from the Bullring Shopping Centre, 5.1 miles from Cadbury World and 8.6 miles from the National Exhibition Centre. 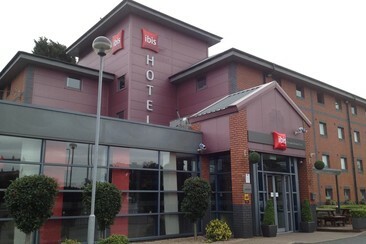 With 87 state-of-the-art guest rooms, you're guaranteed a restorative snooze at ibis Birmingham Bordesley. They feature new Sweet Beds, tea/coffee facilities, desks, TV with all the best channels, Internet access, hairdryers, en-suite bathrooms and more. Fogg's restaurant offers favourite flavours from the four corners of the globe for you to enjoy. The bar is ideal to get together, chill out and linger in the evening, or meet in a relaxed ambiance during the day. Soft drinks and a snack menu are available 24/7 plus variety of alcohol drinks from 12pm up to 1am. 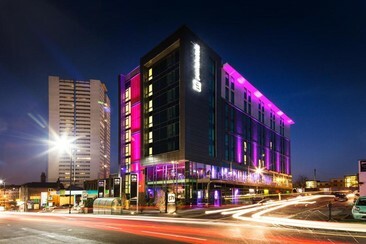 pentahotel Birmingham is near central Birmingham, marked by its vibrant, modern desi. This hip hotel is 1.7 miles from the Birmingham Museum and Art Galler. Birmingham New Street Station is within 10 minute's walk from the hotel. In fact, pentahotel is much like Birmingham itself: relaxed, confident in its unique personality and right in the middle of it all! Each spacious room at pentahotel Birmingham includes en suite bathrooms, air-conditioning and flat-screen TVs. With free Wi-Fi in its trendy bar and public areas, it also boasts 2 meeting rooms, an on-site restaurant and a fitness centre. In the morning you can enjoy a hearty breakfast – or grab a pastry to go if you’re in a rush. Lunch and dinner are also available in the on-site restaurant. 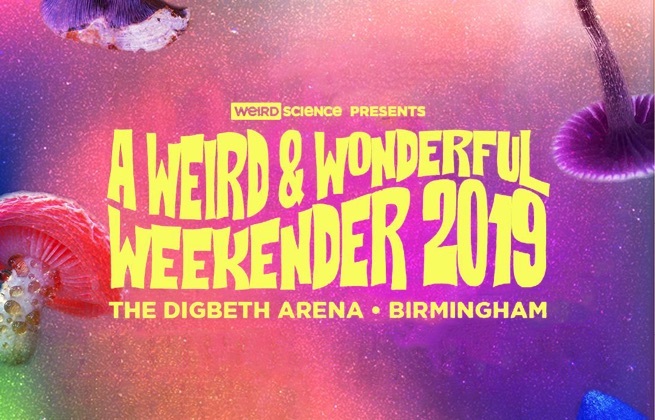 A Weird & Wonderful Weekender takes over Birmingham's open-air Digbeth Arena for the colourful explosion that is Carnival Magnifico, as well as a day of house, drum and bass and garage with DJ EZ and Gorgon City. The weekend will kick off with Carnival Magnifico on the Friday as the party returns to Digbeth after a two year hiatus for its biggest showcase to date. They'll be joined by none other than Shy FX, Jaguar Skills and Toddla T.
Meanwhile at Saturday's Weird & Wonderful Day Out, Heavyweight brand duo Hospitality and Lengoland will be hosting their own stages, alongside immersive performers and themed areas across one of Birmingham's hippest music venues. The Digbeth Arena is an open-air music venue in Birmingham.